Acoustic distraction consistently ranks as the top workplace design complaint on employee surveys, with blame largely directed at poorly designed open offices. If noise is a given, how can designers best support employee focus and productivity? Architectural Record turned to Mithun partner Bill LaPatra and Microsoft U.S. Offices for answers. The renovation of Microsoft’s offices in Bellevue, Washington, incorporates an acoustic strategy based on “modes of behavior.” Mithun and acoustic consultant Stantec tailored work environments to support three types of activity: “administrative, characterized by light focus that can accommodate colleagues’ stopping by; focused, requiring concentration without interruption; and re-energizing, when a round of intense work is completed and it’s time to recharge, either by socializing with coworkers or unwinding alone.” Employees are invited to move between the shared open office and these spaces—including a range of enclosed meeting rooms, kitchens and collaboration nooks—to obtain the physical layout and acoustical properties best suited to the task at hand. The 137,000 sf renovation is generating a lot of positive feedback according to Microsoft Americas workplace strategist Brenda Ball. 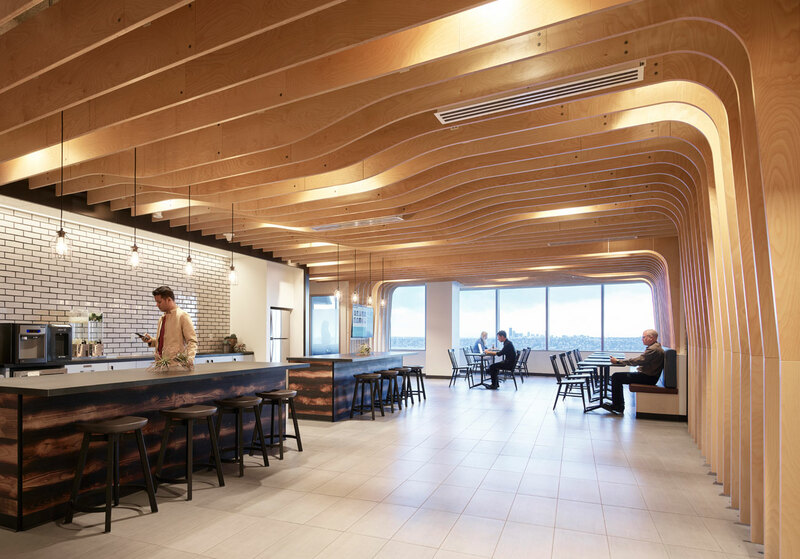 The project “illustrates how much can be achieved acoustically with spatial and surface interventions targeting specific areas for maximum benefit,” explains writer Katharine Logan.